Locus is a beautiful English-language coworking space in the heart of Vinohrady, just a 5-minute walk from the Jiriho z Podebrad metro. The language of the space and our events are in English, and members are from more than 20 countries. At the same time, the single largest group of members (about 35%) are Czechs, and in particular Czechs who want to connect to an international community. Similarly, the largest group of non-Czechs are expatriates, many of whom speak Czech and have gone through the process of setting up their business and making Prague home. 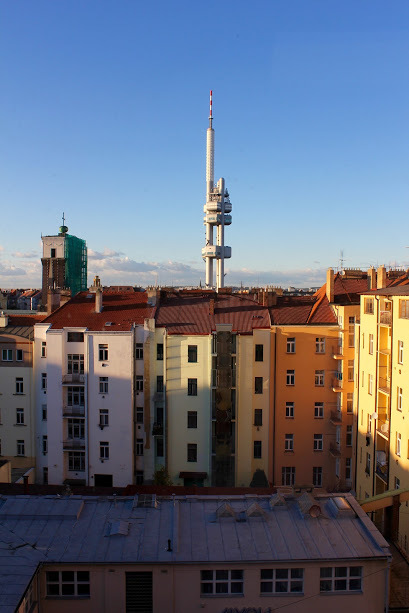 During the summer months, late spring, and early fall, Locus becomes a hub for visiting digital nomads and other location-independent professionals in Prague. We organize social events, like pub nights and game nights and courtyard barbecues. We host talks particularly targeting digital nomads about how to live that lifestyle effectively. And we often end up hosting both organized groups of traveling remote workers as well as individuals doing the European circuit for the warmer summer months. Locus has a special one-month price--1000 Kc off full-time or fixed desk memberships--in large part because we love the positive energy and community spirit that traveling location-independent professionals bring to the space. 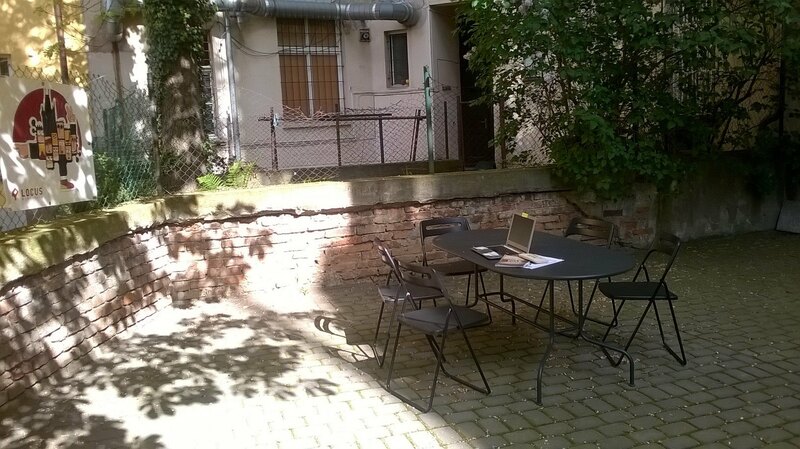 There likely isn’t a better place in Prague for recent--or hopeful--expats who have the freedom to work from a coworking space. The majority of members are expats who live and work in Prague and who started their own business or trade license here. Along with our resources to help members connect, the members themselves provide an incredible resource to help you find quality professionals (accountants, lawyers, graphic designers, etc. ), and to give you immediate answers to basic questions about things like residency, taxes, business formation, or just where to take your visiting relatives for a day trip. Since Locus can provide a business address (sídlo) for those who want to work at least 7-days a month from the space, and can recommend a great service for setting up your trade license or company in Prague, we also help make the administrative process of relocating or figuring out how to work from Prague a piece of cake. You'll WORK BETTER at Locus. 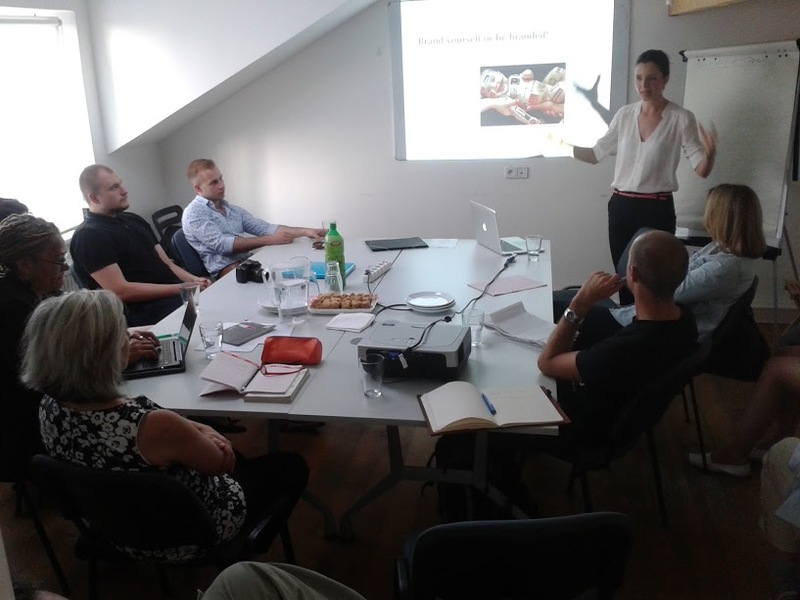 Are you a member of Locus Workspace - Vinohrady? I have been at this place only for a couple of hours because I only had a little time. but it was a nice and working friendly enviroment. The internet access was very good and of high speed. Only the main door needs a little oil. You can use meeting rooms and all the equipment of other members, they agreed on sharing while there are not in the location. If you purchase a membership you can come in and go out 24/7 as you wish. I wish i had the time to have more networking there. I had the opporturnity to get a free day pass. "I want to settle in here after the tour." When you enter the Locus coworking space, the manager guides you for about 10 minutes. The sunlight coming through the ceilings and windows is so good. The Locus coworking space is full of attentive traces of work space chairs and desks, stand desks, monitors, mini-fans, multi-power jacks, coworkers. And the event schedules and community contents on the bulletin board seem to understand a little about the reasons for the Coworker.com Award and the reasons for the long stay here. I work hard for a short time with the energy of other co-workers who are passionate. I want to settle in here after the tour. I am working and traveling in Europe, and completed a trial day at this space when I was staying nearby. Having done quite a few trials all over the place recently, I can say that one immediate point of difference with Locus is the friendly space hostesses - actually, many spaces do not seem to have a formal reception at all, but it was cool to be welcomed with a coffee and a chat. I didn't spend long there but it was a cosy, productive place that had the feeling of being in the Gryffindor common room - no fireplace, but warm magical people. "A friendly, welcoming place to work." Locus is a great place to work. The space, originally an architects' studio, is bright and welcoming. The people are friendly and come from all over the world, and the regular contigent of digital nomads makes a dynamic mix. If you want to make connections, there are plenty of opportunities to do so, including at the group lunches and coffee breaks. But if you just want to go to the office, do your work and leave, you can do so to. I've made good friends at Locus Workspace and have always felt energised and inspired when working there. 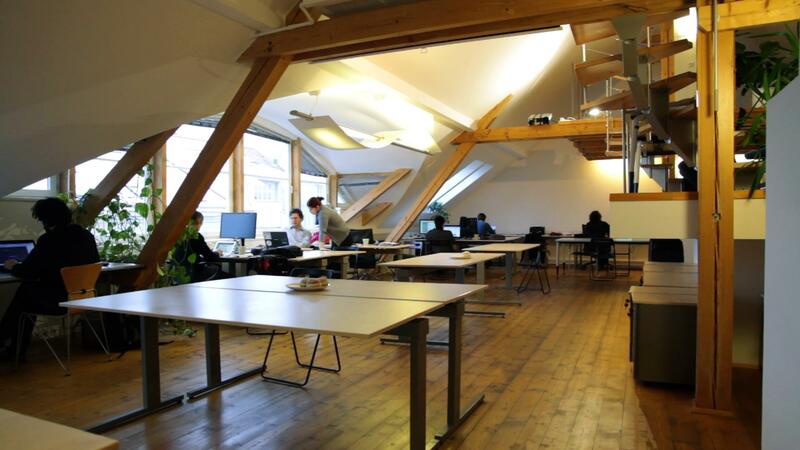 I highly recommend Locus Workspace to anyone looking for a base in Prague. "Place run by a manager devoted to the mission of coworking with everything what coworking involves"
For each particular item of this coworking place I vote my best. I was very glad to be a member of the Locus community for several years, and I still enjoy some of their activities provided also to non-members. Friendly environment supporting so much needed socializing of people who would otherwise be alone. Ideal place for international working nomads, who want to stay in Prague, get their work done, but during their working time don't want to be alone. Personal and professional growth seminars and presentations. Leisure time events. The office has all the equipment that freelancers need. I highly recommend. "Friendly, cozy and centrally located "
Locus Workspace is a really cozy and friendly workspace. It's interesting architecture makes it look like a tree-house and it always has natural light, even during the most cloudy days thanks to its large windows. It is conveniently located just a 4-minute walk from Jiřího z Poděbrad metro station. Around the area it's easy to find many nice cafes and restaurants which offer different lunch menus every week. The space itself is more than a coworking office. It is also a community, since coworkers get to know each other and interact during various bonding events, like the weekly coffee and beer breaks, Mafia Game nights, pub nights and many more. "Perfect for work and fun"
"The way coworking should be. " I think the most telling fact about Locus is that several of the members have been coming to the office for a number of years now. I can understand why. You have everything you need to fully focus on work and on top of that you feel welcomed from day one and can enjoy a great community of friendly people. I especially enjoy the lunches on Wednesday where members that have time get together at one of the restaurants nearby and chat about anything and everything. "Great place, its community makes the difference"
I've worked from 6 coworking spaces in three different countries over the past several years. Also, before deciding, I had day trials with three in Prague before finding Locus (including one based in a beautiful villa with a garden). Still, since day one when I became a member one year ago I've been consistently productive and socially engaged just the right way at Locus. 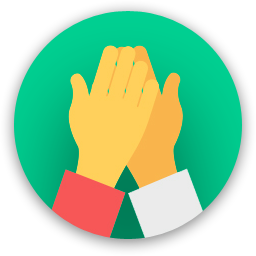 There is a great, friendly, inclusive and respectful community at Locus and the community managers are also very nice and always helpful. On top, the location is perfect for an expat, the space is cozy, well-distributed and with great amenities and great WiFi everywhere. Locus has spoiled it for me - it will be very hard to find another one just as good when I move out of Prague. 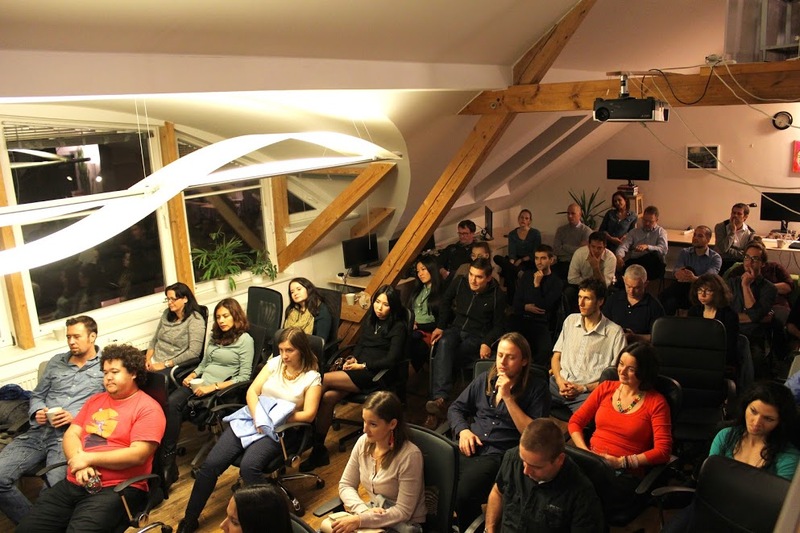 The best coworking space in Prague with great atmosphere, members and managers. Perfect organised events with interesting topics, sense of community, great place both to work and socialize, admirable owner Will Bennis. Providing high professional services. I've remained a member from Day 1 above all because of the sense of community. It's a diverse coworking space—Czechs and non-Czechs, creatives and coders, freelancers and startup entrepreneurs, "permanent" settlers and digital nomads—yet owner Will Bennis has fostered a distinctive Locus culture. It’s close-knit and surprisingly democratic—the way coworking was meant to be: members are consulted in almost every decision that affects us substantially. And the location is ideal (a 10-min. walk to work for me), nestled in Vinohrady, one of the most popular neighborhoods of Prague, and flanked by hip Vrsovice to the south and Zizkov, the world capital of beer, to the north. Come work, and play. "Get work done, meet great international people!" I'm working from Locus for about 1.5 years. It's a great place to meet interesting people, internationals and Czechs! The mix of different professions is perfect to get out of your bubble, but also to find people to collaborate with. Good for socialising, but also to get work done. Locus is located in a trendy international area. It's in the center of Prague, but not touristy. Lots of good restaurants around to go for lunch. I do my best work at Locus! The space allows for both focused quiet work and socializing, and the great mix of ages and professions makes for many interesting conversations and collaborations. I've participated in several co-working spaces across three continents. Locus Workspace is my favorite. In fact, it's one of the reasons I decided to put down roots in Prague. Locus strikes a pleasant balance between heads-down-getting-work-done and fun venue. "Great place to work, great people to work with"
I moved to Prague several years ago and knew almost nobody; Making the decision to work at Locus not only gave me a solid place to get work done, but gave me a community to help Prague feel a bit more like home. "The foreigner's no.1 choice in Prague"
It's the one coworking I recommend to my friends coming to Prague. No shortage of open interesting people from all around the world. English is the primary language here and Will (the owner) is active, on-site and really cares. 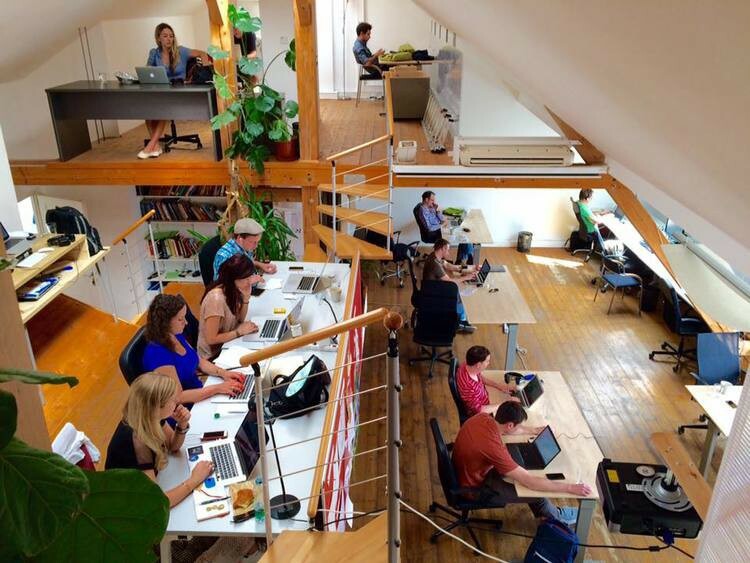 "The best co-working community I've ever experienced. " I've lived in 6 countries and been to A LOT of co-working spaces and Locus is the only one where I've found a real sense of community and it to be an easy place to make friends and connections. nice view over the city. The HungSen food in the Vietnamese restaurant next to the cowing space is really good. Join the Wednesday lunches to quickly get know people. Participate in the coffee breaks, even if you think you're too busy for them. Locus Workspace - Vinohrady too? Locus Workspace - Vinohrady will be in touch with you soon to confirm. 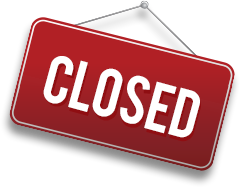 Locus Workspace - Vinohrady has received your membership enquiry and will be in touch with you soon.